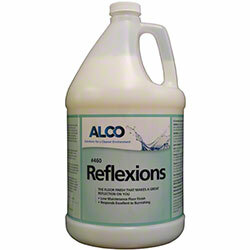 Alco Reflexions - Alco-Chem, Inc.
Our best balance floor finish. Diamond-like brilliance, clarity and durability, stands up to the toughest traffic and comes back for more. Its long lasting performance will save you time and labor, while giving you the brilliant appearance you demand on your floors.